I haven't had a new perfume in ages, so when I was in The Perfume Shop I felt like I was like a kid in a candy store and there were so many options that I didn't know what to choose. I had the sales assistant spraying perfumes on loads of different sheets to see what scent I liked the best and in the end the two final choices were Emporio Armani Diamonds black carat and Viva La Juicy Noir. In the end I went for the Armani perfume because I liked the fragrance more but I have put my second choice on my birthday list. Product details: Bulgarian rose wrapped in notes of freesia infused with vanilla bourbon and vanilla bean, a contrast of freshness and depth. 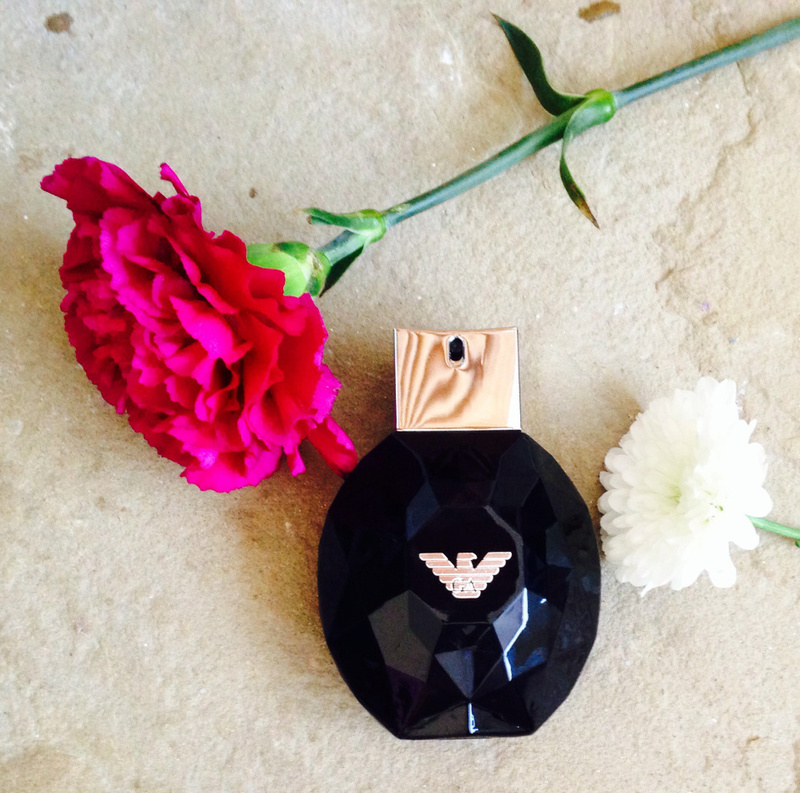 The addictive oriental character of this perfume is textured to create mystery. It smells gorgeous and I love it. It has a sweet yet empowering scent and it is incredible!!! :) I got a 50ml bottle for £29.99 from The Perfume Shop which is a bargain. It has a different scent to anything I have used before and am so glad the sales assistant showed me it.